I don’t know what it is with me lately, but I have an overwhelming sweet tooth. Like an addict I have to sit on my hands not to reach into the clear, finger-print smudged cake dome that houses my son’s occasional treats like his chocolate, butter cream frosted birthday cupcakes or banana bread that I made so the sad, browning bananas wouldn’t go to waste. I recently pulled the Halloween candy out of the garage freezer because my chocolate cravings were so strong. Sigh. Can you relate? Something needed to be done…fast. I’ve eaten reduced sugar for years and I feel strongly that it is the key to weight loss/management and also reducing oxidative stress. And sorry but sometimes an apple just doesn’t cut it. 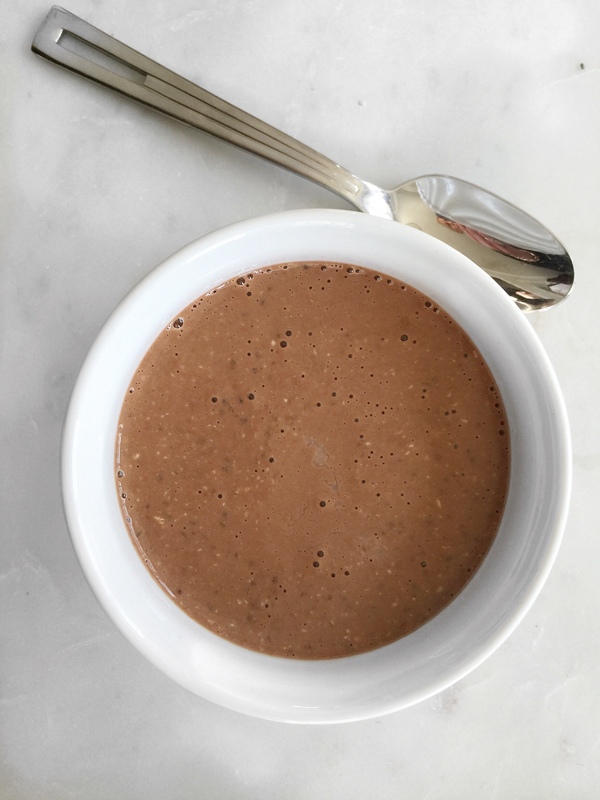 I started making this chocolaty treat at night so I’d have it to snack on throughout the next day whenever a sugary treat started flirting with me. Thing is, not only does it satisfy a sweet craving, it is good for you. Low sugar, dairy-free, high calcium, high omega-3, high fiber, high protein, and a bump of antioxidants from the unsweetened cocoa. Chia seeds are miraculous. They have a laundry list of health properties, but they also expand in whatever they are added to, including your stomach. So you stay full and satisfied, which is a welcome bonus. 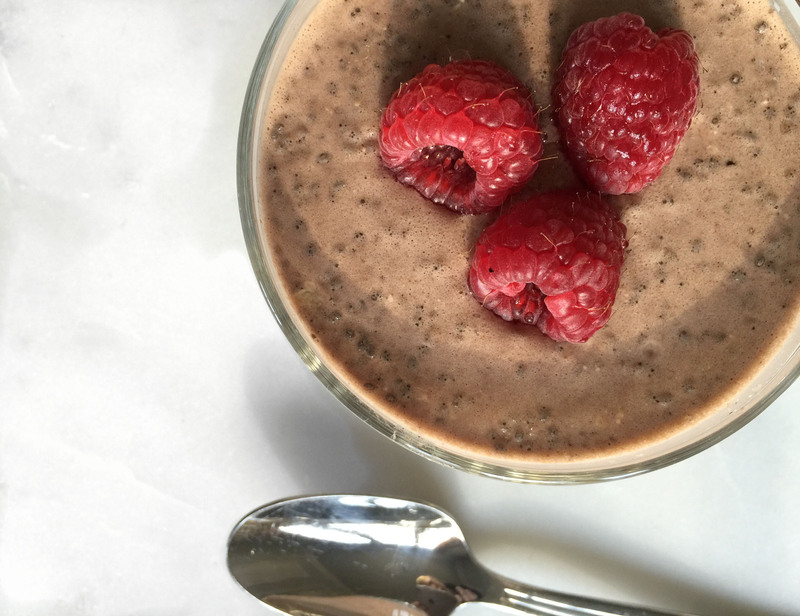 A low sugar, low GI, dairy-free, gluten-free, high fiber, high omega-3 treat to satisfy a sweet craving. 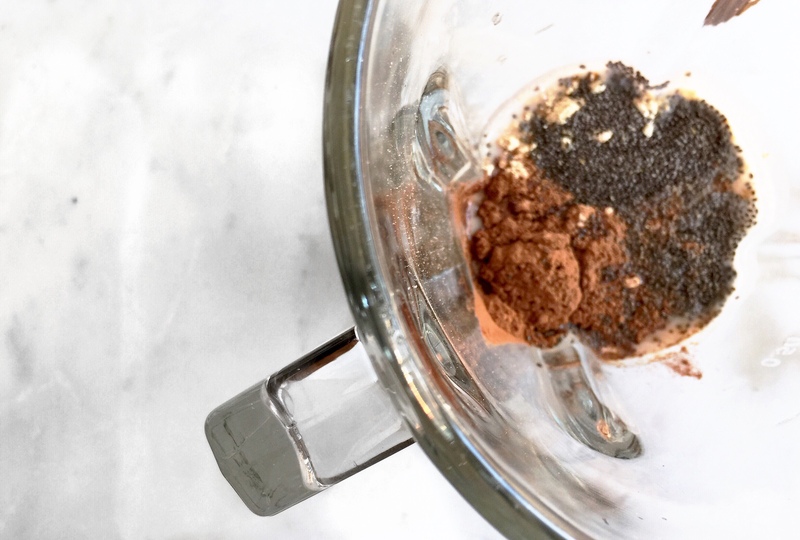 Combine all ingredients in a blender until well mixed. Divide into two ramekins or dessert bowls and cover. Right before serving, top with fresh fruit or shredded unsweetened coconut. If you have a nut allergy, swap the PB2 for 1 Tbs of low sugar protein powder (I use chocolate Vega powder). Make sure you leave the parfait in the fridge for at least 5 hours so it forms a pudding texture. If you don't want to use liquid stevia sub for coconut sugar or agave. Easy, quick ingredients with a great shelf-life that you can gather in under 2 minutes! Dump everything in your blender and buzz for 10 seconds. Place blended mixture in a ramekin and cover with plastic wrap. 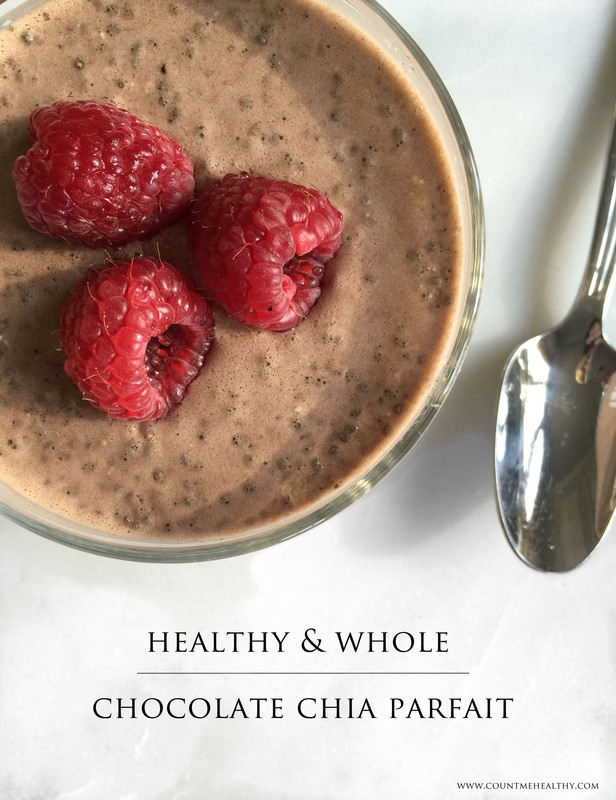 This recipe looks awesome since I am craving chocolate this week! 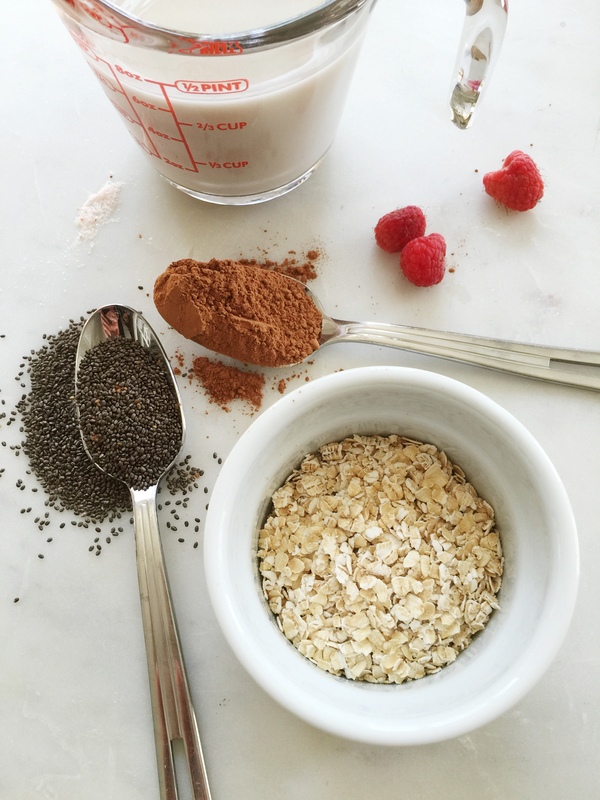 How much chia seeds did you include in the recipe? I think that you inadvertently left this out in the list of ingredients. Hi Chelsea-hope you are doing well! This parfait looks amazing. I was looking for a recipe for this. Thanks for sharing! Your blog is great! Hi Chelsea: I just read an article that said you will get greater benefits from your chia seeds, if you grind them before putting in recipes. I’m going to try your recipe, it looks great.